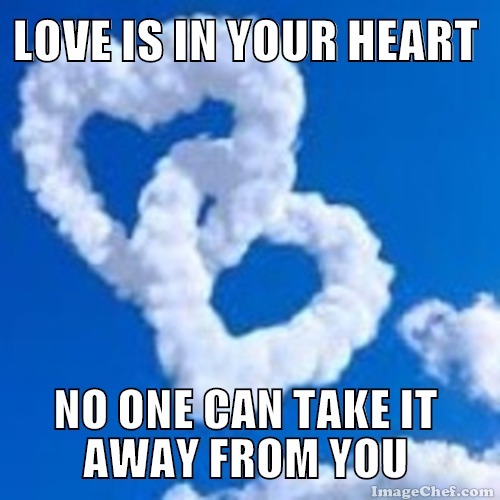 Love is in your heart. No one owns it but you. Will make it grow and multiply.